When someone is starting to look drab they will get a haircut, shave their beard, go to the nail salon, buy a new dress, or change something else to add something new to their look. We often spend a lot of money on ourselves, trying to enhance our overall appearance, and generally it works. We do the same to the things and spaces we spends a lot of time around. We wash our car both inside and out, we clean our rooms and mow our lawn. All this upkeep is not simply because we like the work, but it is to make everything look nice and new again. And once again, it works. There is often one things that people do not consider when trying to enrich the appearance of their home. A fresh coat of paint. It is amazing what painting your home, both interior and exterior, can do to help it look newer and increase curb appeal. JC Toland Painting is the one-stop shop for all painting needs. We can transform your home into something beautiful. But we don’t just stop at painting. We offer many services that allow us to beautify the world, in many different ways. Our services are extensive and can change the look of anything in no time. First of all, we can paint your home. Both interior and exterior, so that your home looks new even if it has been lived in for years. 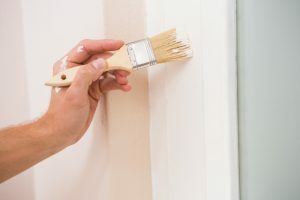 A fresh coat of paint can increase the value of your home or just add a new feel and style to your home. Have some fun with it, get those colors flowing, and let JC Toland handle the painting job itself. Historical houses are special. They have been lived in long enough to develop their own character, personality, and charm. We understand that they need to be taken care of and require special treatment to keep them looking older but refreshed. We are experts and can take care of the job for you. Giving your beautiful historic home a new coat of paint while also keeping the rustic feel is what we do. Have your old house looking new without losing its charm. Are you hoping for a new look but haven’t decided what you are looking for yet? If so, but you want to get rid of your current look as soon as possible, JC Toland can help. We do paint and wallpaper removal so that you don’t have to face that daunting task. We can get rid of your hideous ‘70s wallpaper or your dull paint in no time, giving you a blank slate. That will make it easier to picture a new color or wallpaper that will not make you home look so dingy. Decks, much like home exteriors, need a fresh coat every once in awhile. We do staining as well, which can bring life to your old deck. 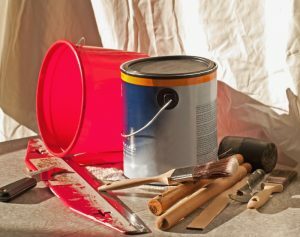 Adding a new stain to your deck and a new coat of paint to the exterior of your home can make your home the stand out from the rest. But what if you have a piece of gorgeous woodwork that could use a good staining? We can help you with that as well! Not only can we spruce up your residence, we can also improve the look of your business. Give your restaurant a beautiful new look with a coat of paint. We also offer electrostatic painting, which allows us to paint lockers, bathroom partitions, and other metals. Rather than replacing old looking pieces, just let us add a new coat of paint and get them looking as good as new! Add something unique and special to your home with the help of our highly skilled decorative painting experts. We can paint a mural of your kid’s favorite cartoon character in their room, or of your sport team in your man cave. We can paint beautiful faux finishes, make a trompe l’oeil on the wall of your restaurant, or even add textures. These decorative paintings are sure to add some style to your home or business. Fire damage can stick around for a while, and can bring back bad memories every day. We want to help clean up the physical damage and hopefully lighten the emotional impact. When we do fire damage restoration we deodorize, remove the soot, and clean the flooring, trying to remove any trace of the fire, and hopefully allowing you to not think about it daily. At JC Toland Painting, we do more than just painting. We take care of you, helping to bring life back into your home, business, and lives with a fresh coat of paint, stain, or any other services you may require. Contact us today to get started!